In the film world, photography was relatively simple for the photographer. We selected our film, shot our photos, developed the film (either ourselves or at a lab), edited the photos, and finished with a final product. We had a choice in film speed, and type of film. For creative affects, we had filters for our lenses, camera mounted flashes and other gadgets. With digital photography, cameras are programmed with all this information. Film has become a media card (Compact Flash, SD, XD, etc.). Digital Photography is defined by processors and megapixels, instead film brand and speed. Instead of the photo lab developing our pictures, we have computer software (Photoshop, Lightroom, Elements, Picasso, Gimp and others). We can print our photos at home on our printers or send them to a photo lab. So, where do we begin with our digital cameras? Kodak Slide Film scanned to a Digital file. For some, the transition from Film to Digital is easy. For others, it is a struggle, and can be confusing. I’ve worked with all ages (children, teens, adults & seniors) and levels (beginning & intermediate) photographers with understanding the functions of their Digital cameras. Each person has a different way to learn the complex menus and functions of modern cameras, and need individual attention to learning the information. The photo above was taken in 1997 with Kodak slide film and scanned to a digital file. 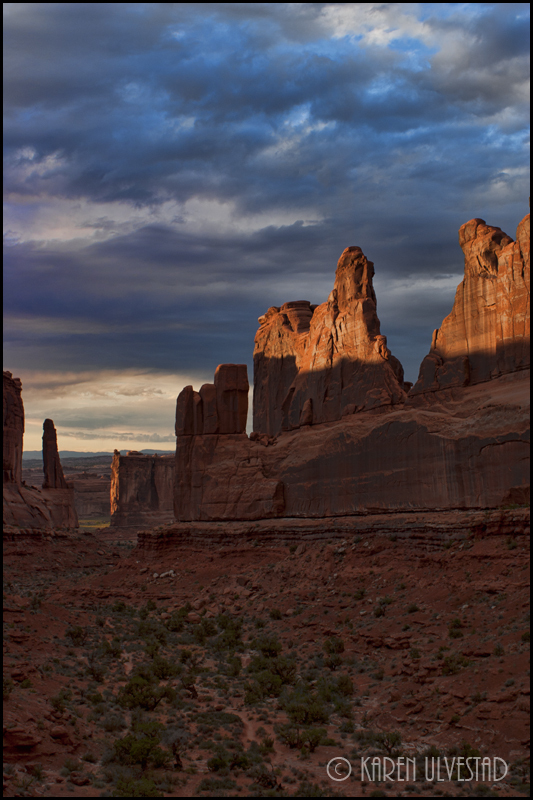 It was taken at Arches National Park, and all the elements came together for a wonderful photograph. The photo below was taken in 2005 with a Canon 10D digital camera. 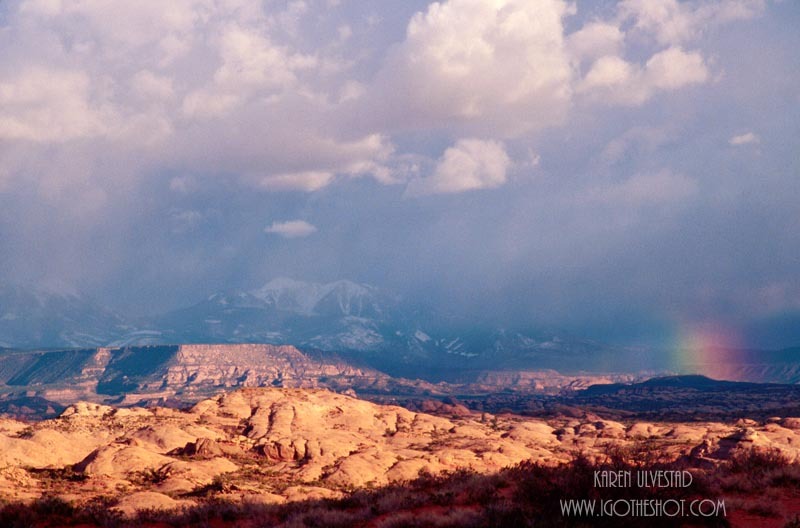 It was taken at Arches National Park too. Both of these images were shot in Manual mode. From the Digital Camera to the Digital Darkroom Intensive is a one day (6 hour) hands-on venture into camera operations and workflow for digital photography. I offer this class once a year at the Pacific Northwest Art School on Whidbey Island. Here is a link to their website and the class. Join my workshop for a fun-filled day of learning Digital Photography and the Digital Darkroom. The last photo is John Day Fossil Beds, and was taken in 2012 with a Canon 5D Mark II. Thanks for your personal marvelous posting! I really enjoyed reading it, you’re a great author. I will be sure to bookmark your blog and definitely will come back sometime soon. I want to encourage you to continue your great work, have a nice day! to find a lot of useful info here within the post, we’d like develop more techniques on this regard, thanks for sharing. . . . . .
On the right side of the blog, there are 2 ways to follow. You can select the RSS feed at the top, or an email subscription (which is the Sign me Up button below the Facebook info). I hope this helps.